I arrived in Londrina, Brazil, on May 5 for six weeks of beef and reproduction placement at Londrina State University. After 32 hours of travelling I was greeted at the airport by Andressa, a student at the university, and was welcomed like one of the family. I began my placement working with in vitro embryo production in the Animal Reproduction and Biotechnology Laboratory. PhD and masters students carry out different research here. Veterinary surgeon Camila Bizarro, under the guidance of Prof. Marcelo Seneda, is researching the topic, ‘in vitro culture of preantral follicles of bovine females’. This was one of the studies I was helping with. 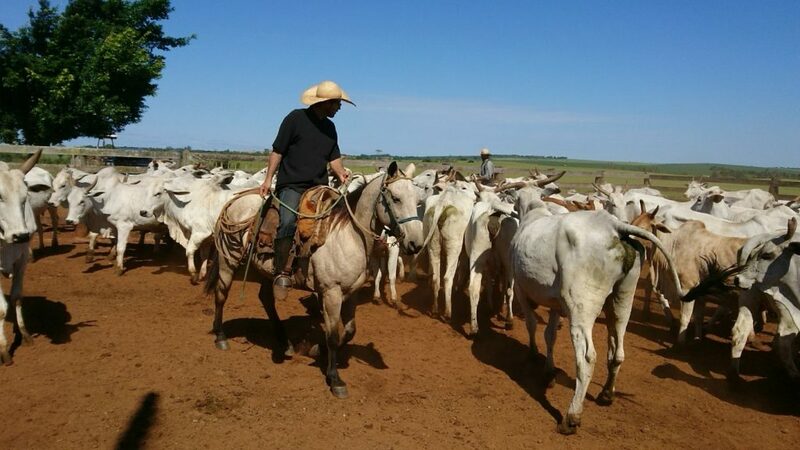 Within the first week I was out on the Santa Tereza Nelore beef farm with vet Marcio Gera. 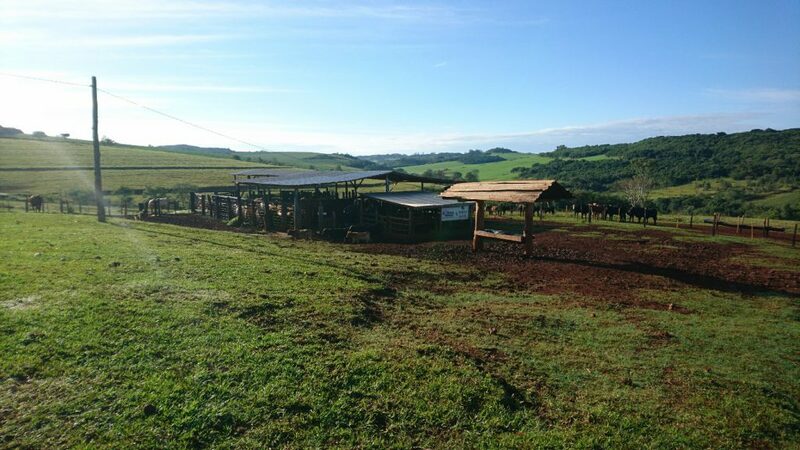 The farm is located in Cornelio Procopio, over an hour from Londrina. Throughout the day we handled and scanned 500 Nelore cows for pregnancy. Some 500 cows per crush is the maximum that can be handled in a day. 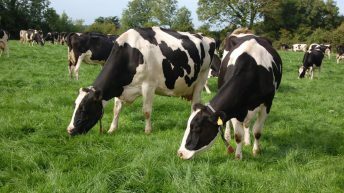 Cows and maiden heifers are often synchronised in large groups during the breeding season. Cows calve outside and rarely need assistance. Farmers attend to the herd once or twice a day, spraying navels with iodine and tagging new-born calves. All breeding females are vaccinated for brucellosis and branded. This is a compulsory programme enforced by the department. Ticks and flies are also a problem, as well as heat tolerance. 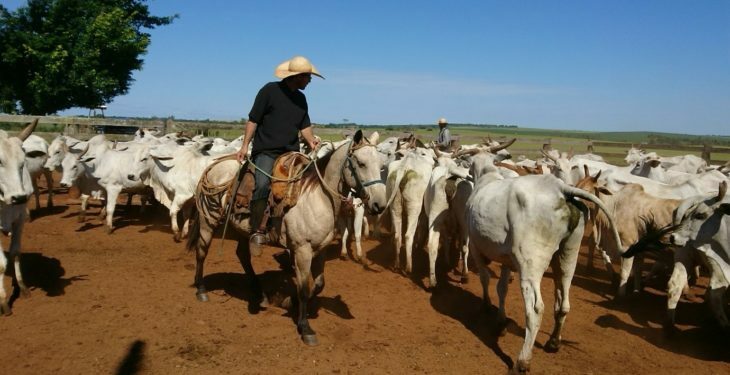 Nelore cattle have a high level of immunity against these problems and Brazil has the largest commercial herd of Nelore cattle in the world. Cattle are grazing all year round. During winter – June to September – the grass turns like hay, but ration is still not required. Tillage is a more profitable sector, with soya bean and corn being the main crops. Land with poorer topography is occupied by beef farmers. 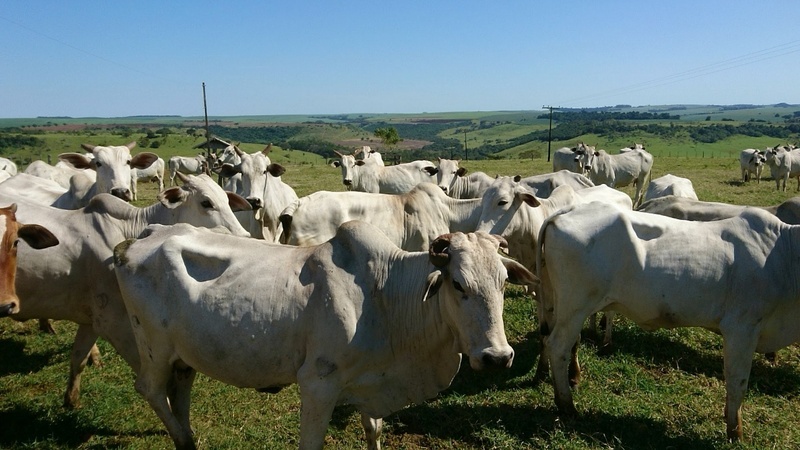 Following the recent Brazilian meat scandal, it was interesting to see how it affected farmers. There was an immediate 20% drop in prices from all factories. Eight weeks after the news broke internationally, the market had still not recovered, with prices remaining 10% lower than before. I spent the next two weeks completing a Brazilian-Argentinian Centre for Biotechnology programme. This is a government-funded course to educate South American students on available biotechnologies and how to practice them. My supervisor Prof. Marcelo Seneda was organising the programme in collaboration with Prof. Pietro Baruselli, from the University of Sao Paulo, and invited me to participate. 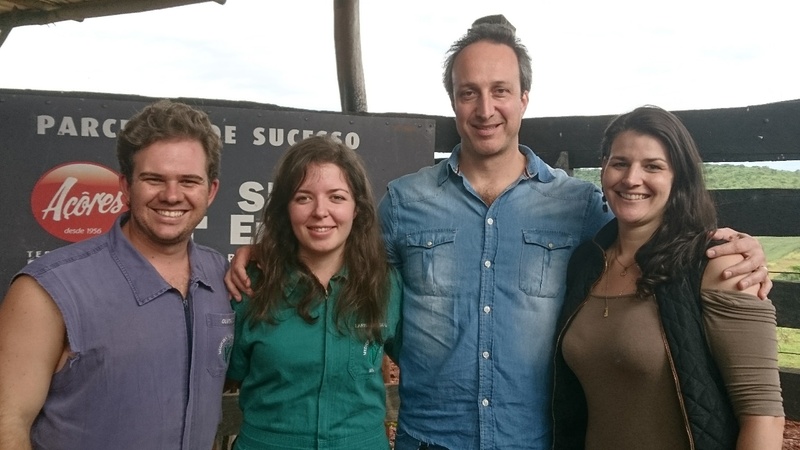 During the course, I gained a great understanding of all of the biotechnologies that are available in South America. How to perform ultrasound scanning and ovum pick-up. It’s fair to say that this trip way-surpassed my expectations. I have gained invaluable experience that will stand to me in my future career in the agriculture industry; as well as forming new friendships and connections. All good things come to an end however and, before leaving Brazil, I was already booked-in for the weekend milking.